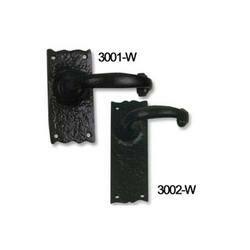 Our black iron decorative door handles are appreciated worldwide and is extensively used in hardware industries. 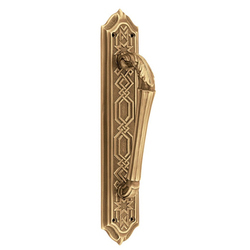 These decorative door handles are fabricated using premium quality iron and are extremely durable, corrosion resistance, dimensionally accurate and sturdy. We endeavor to satisfy our broad client base maintaining quality standards in our manufactured range and our packaging. We are instrumental in providing to our valuable customers excellent quality of Antique Brass Door Handles. These are fabricated using best quality raw material as per the set industry norms under the supervision of our experienced professionals. We manufacture good quality products. To furnish the varying desires of our customers, we are immersed in offering a world class consignment of Antique Door Handles. The antique iron handles are manufactured in conformation to the international standards and is stringently checked for quality, durability and flawlessness. We offer our antique iron handles range in different sizes and designs and are in high demand in the domestic market as well as the foreign front. Our range of black antique door handle is very durable as we use high quality metal to manufacture it. Available in various finishes, it is offered at industry leading prices.